Ljubljana, Slovenia, features a very safe living environment. According to our city rankings, this is a good place to live with high ratings in housing, cost of living and business freedom. Ljubljana is one of the top ten city matches for 1.7% of Teleport users. Software Engineer salaries in Ljubljana are below average. For this job type, Ljubljana ranks 170th for salaries among 265 cities. Get access to our salary comparison calculator by signing up. Compare salaries city by city with our free salary wizard and convert your own salary to a local salary in Ljubljana. Do locals recommend living in Ljubljana? How could Ljubljana improve to make it a more liveable city? We will make sure that the local government will know about the suggestions that reach enough votes*. 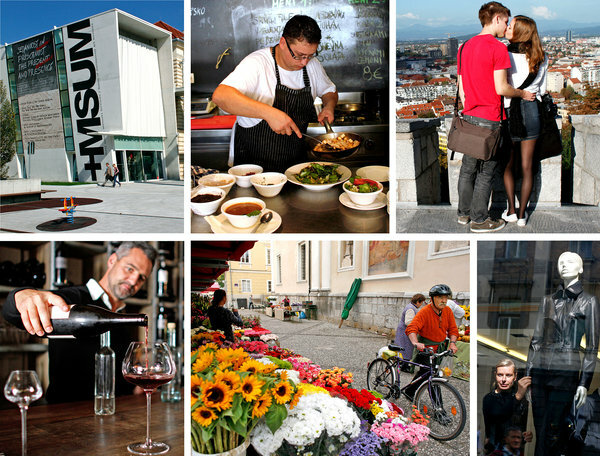 Is Ljubljana a great place to live? What makes it special for you? What makes it liveable? What should others know about? Why should they move here? Why do you love it? Looking for a job in Ljubljana? Let the jobs come to you! Sign up with your email and we’ll start working on getting job offers from Ljubljana delivered to you. It's free. No strings attached. You can unsubscribe anytime. The overall crime rate puts Ljubljana in position 33 of 266 Teleport Cities in a ranking for the safest cities. In this capital city, you’ll find castles and culture, local wine and creative cuisine, homegrown fashion and textured history. Ljubljana ("lyoo-blah-nah"), the capital of Slovenia, is a charming old city full of artists, museums, and galleries. In Roman times, it was called Colonia Iulia Aemona and was part of Province X "Venetia et Histria" of Italia proper. With a population of 300,000, it is one of the smallest capital cities in Europe. Ljubljana is pronounced similar to 'ljubljena' ('beloved') in Slovenian, but it's not clear if the words are related. Some of the most innovative startups founded in Slovenia. Brought to you by the Founded X community.